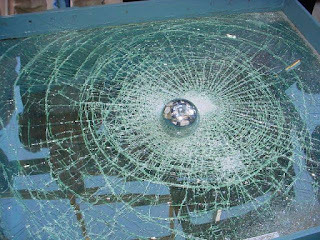 Types of safety glass - Tempered Glass Looking for Tempered Glass? Every year, so-called safety glass used in the glazing of exterior and interior walls, special windows, glass doors are becoming more and more popular. Safety glass can be classified into tempered sheet glass with increased strength and resistance to sudden temperature changes, laminated glass (laminated or architectural building triplex), as well as reinforced glass. 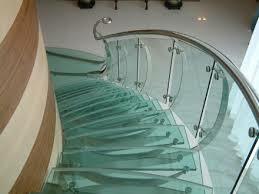 Giovani Glass can offer you all three types of the glass products. Tempered glass is a special glass treated with heat that technologically resembles the process of hardening metals. As a result of tempering, the strength of glass is increased several times, and in the case of destruction, it is scattered into fine chips without sharp edges. A feature of such glass is the impossibility of any kind of processing (drilling, cutting, polishing the edge) after the tempering process. Laminated glass - triplex, is a combination of glass, made by joining two or more colorless, tinted or other layers of glass with a transparent, colored, white or colorless polymer film. In the latter case, the combination of options for different glasses and films achieves the necessary functional and aesthetic effects that meet the modern requirements of the architecture. In addition, we offer energy-absorbing triplex for use in double-glazed windows and triplex with a thickened film. Reinforced glass is a glass with a metal mesh, melted into the mass, which in case of glass breakage prevents its scattering. Its purpose is the glazing of openings in the structures of industrial premises, workshops, dormer windows, lamps, basements, house doors, elevator shafts and as an external coating of facades.